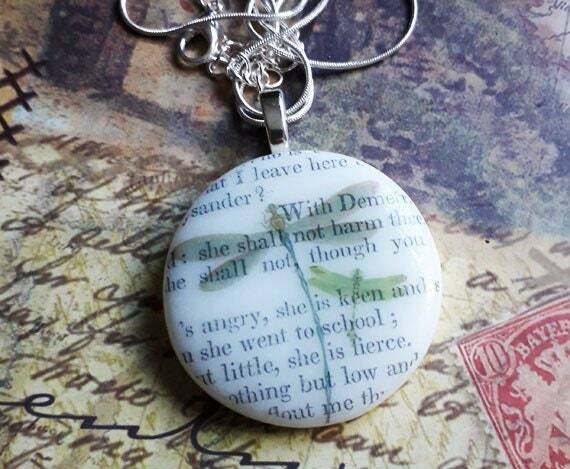 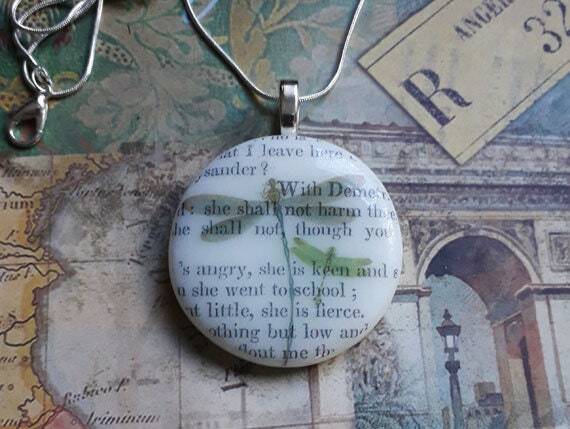 Fused glass pendant, in cream coloured glass with dragonflies print and text from Shakespeare's A Midsummer Night's Dream. 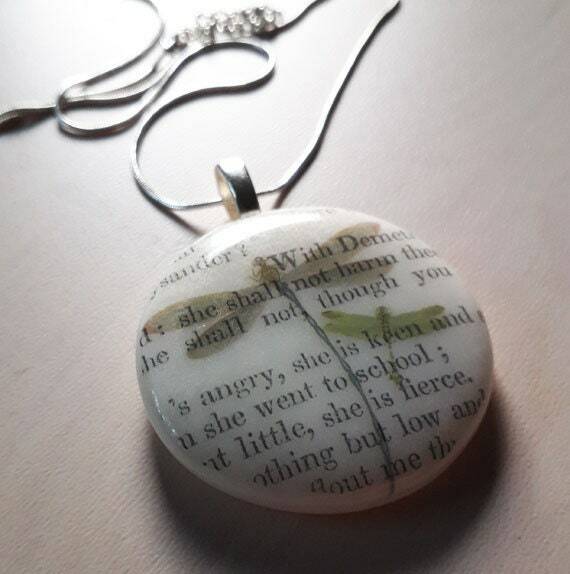 This is a large-ish pendant made from pale cream coloured fused glass. 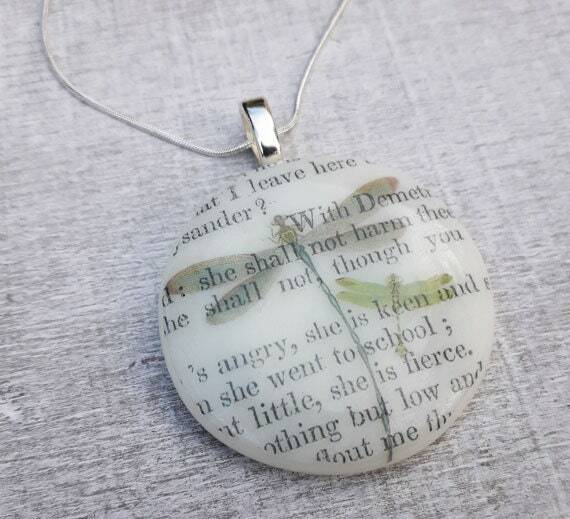 It has vintage-style illustrations of dragonflies fired onto the glass, as well as text from an 1840s printing of Shakespeare's A Midsummer Night's Dream. 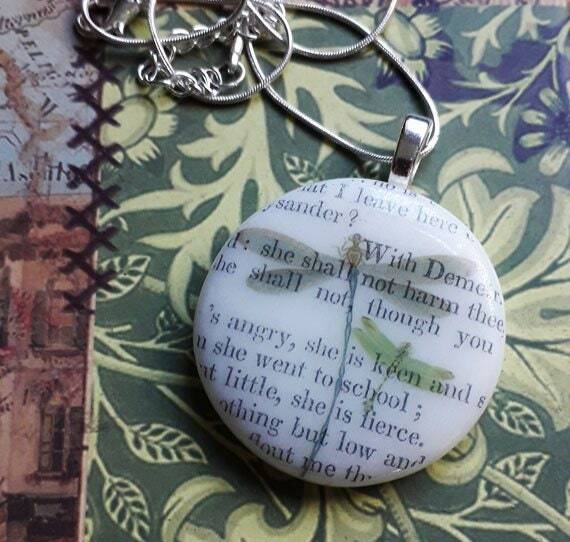 It's about 40mm diameter and hangs from a silver leaf bail on a silver snake chain.